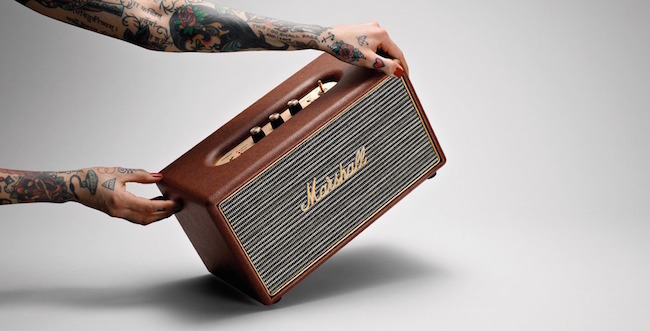 Producing up to 80W of total power and incorporating dual 0.75″ dome tweeters and a 5.25″ woofer,the Marshall Brown Stanmore Speaker delivers crisp sound in a compact design. The inbuilt Bluetooth technology allows you to pair your mobile devices with the speaker and listen to your favorite tracks in a more retro inclined style. The onboard digital optical, stereo RCA, and 3.5mm inputs also make it well equipped for wired device connections. Skilled craftsmen from the HardGraft team brings a sheer masterpiece in the form of this Mighty Phone Fold Wallet once again. 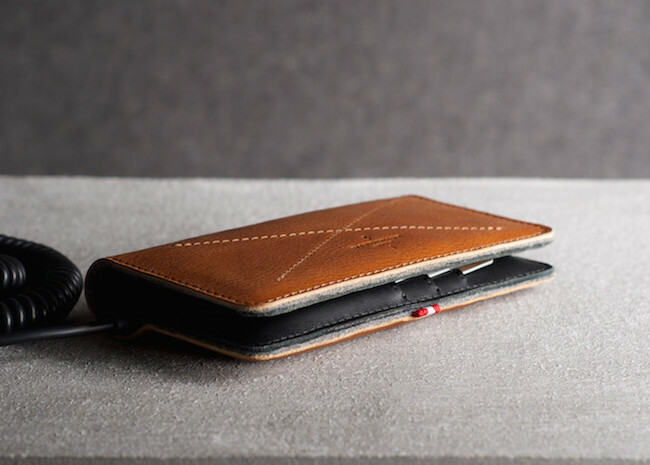 Combining the uniqueness of a wallet and phone case, the handcrafted beauty is a perfect organizer for all daily necessities to stay in place. This includes 6 dedicated card slots and place to store your cash with special storage available for your iPhones. Apart from the iPhone 5 and 5S models, the wallet can also be customized to fit your brand new iPhone 6 too. 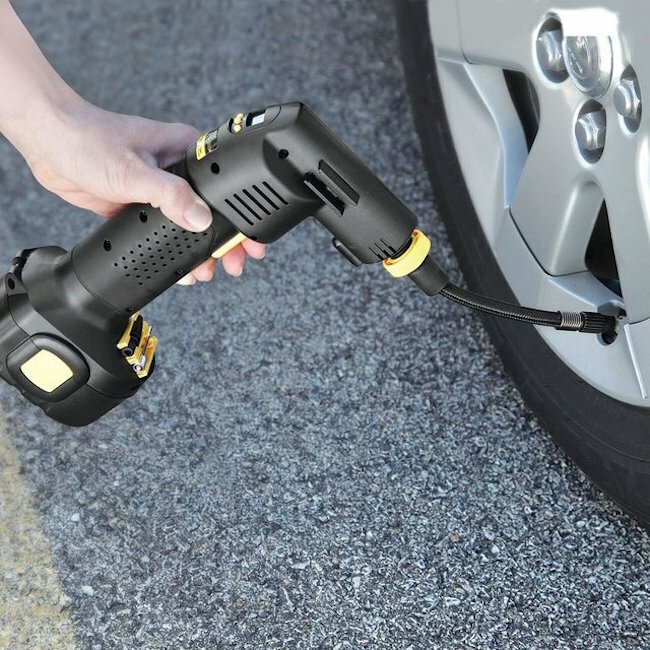 Save yourself from undergoing the hassles of a punctured tire while you’re on the road by trying this brand new Automatic Cordless Tire Inflator. Providing hours of operation with a mere two hour charge using the included AC adapter or DC car charger, this inflator can be used both during daytime and nighttime roadside emergencies. 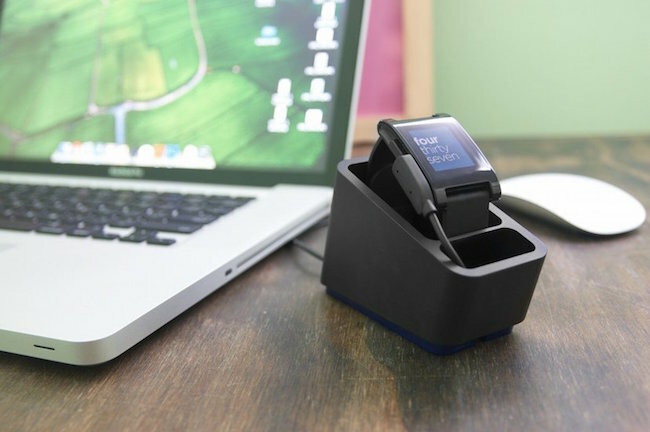 Being in the era of wearable tech, it’s important to have a device like Mezzo For Smartwatch on your work desk which never lets you lose touch with your smartwatch when its charging. The dock is made of highly durable aluminum using CNC technology and has a clear anodized surface finish. This not only makes the setup look classy but also prevents your desk from looking too cluttered due to the presence of a charging dock. 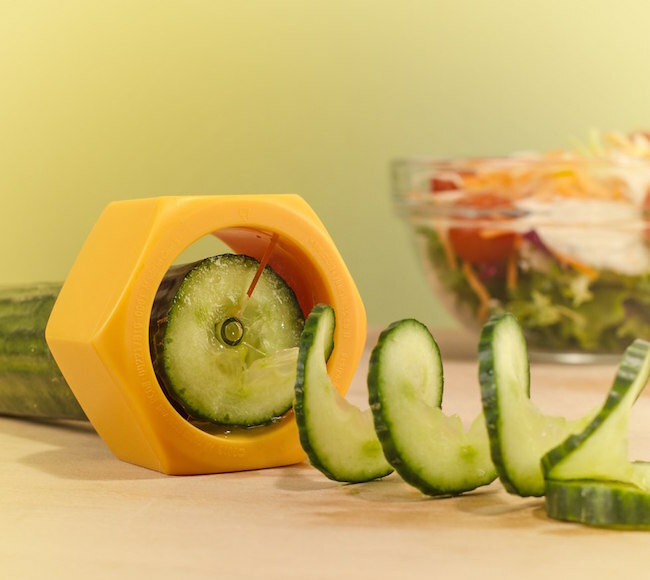 If your salads are palatable but visually displeasing, this Cucumbo Spiral Slicer could be useful in adding that visual spark to your green platter everyday. Made exclusively for cucumbers and zucchinis, this slicer turns these vital salad ingredients into spiral slices within minutes. That way, you not only make your salads look pretty but also explore your innovations with food art too. Introducing Finn from Austria – An ultimate smartphone bike mount that keeps your phone securely fastened even when you’re upto doing crazy stunts on the go. 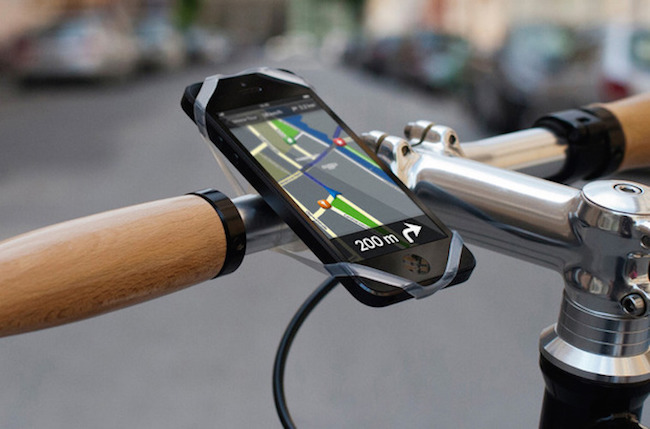 It’s made for every smartphone out there, can fit any bike’s handlebar and is even a device you can carry freely inside your pocket. Now that’s what we call a combination of utility and versatility in the form of a bike accessory every digitally inclined bike rider craves for. 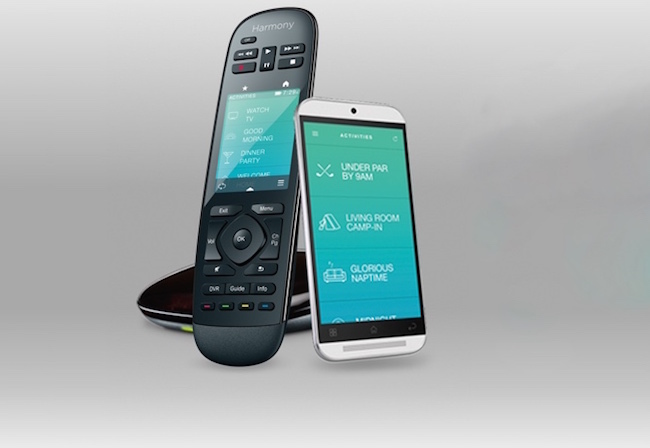 Home automation and entertainment now lies under the power of one remote control with the introduction of the Harmony Ultimate Home. From controlling devices such as Nest, Lutron®, August, pēq to setting the mood for date night, the 2.4” vibrant touchscreen is there to make the whole process simple and extremely convenient.